The wetsuit can make or break your race or even your training session. Here’s our guide to the best triathlon and swimming wetsuits so that you can crush the swim with confidence. 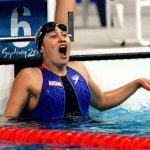 Triathletes probably don’t get the respect they deserve when it comes to how difficult training and races are. You are competing in not one, but three different endurance competitions that require different skills and training. Along with all the preparation required, is the mountain of gear that comes along with the sport. Bikes, running shoes, open water goggles, sunscreen, your favorite triathlon/multiport watch, a triathlon bag to tote all this stuff in, and so on. 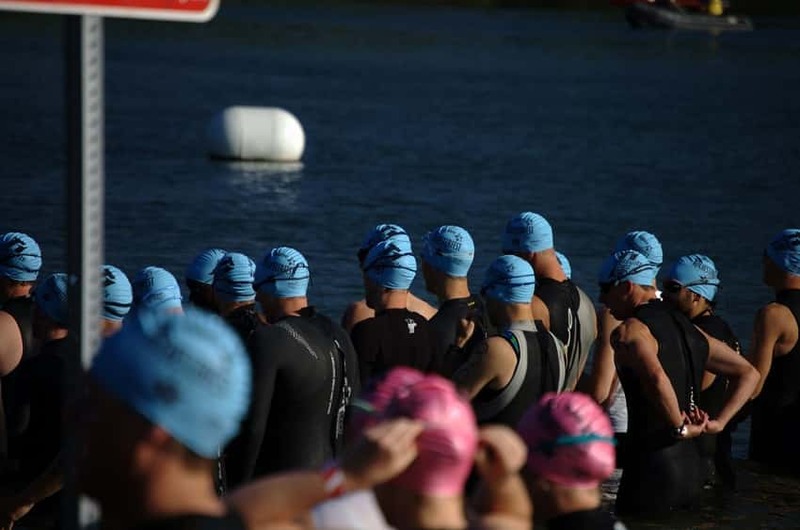 In the water, the wet-suit is one of the essential pieces of gear for triathletes. Whether it comes in a half or full size, the wet-suit can be a triathlete’s best friend. 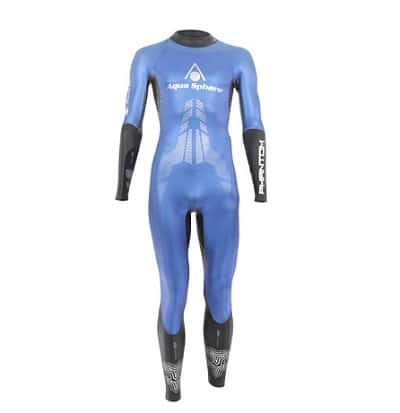 Wet-suits built specifically for triathletes—yes, there are significant differences between a surfer’s wet-suit and that of a triathlete—will keep you warm and comfortable in the cold water, give you a measure of buoyancy, and the rubber exterior will even help you glide through the water a little more efficiently. The buoyancy of your wet-suit comes from the type and thickness of the rubber. 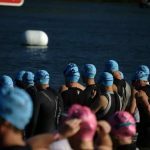 Avoid wet-suits that have a thickness of over 5mm as Ironman and USA-Triathlon limits racing wet-suits to 5mm and below. The panels of your wet-suit where the rubber is thickest will be around your legs and chest, as these are the most-dense parts of the body. You are going to be swimming with this bad boy on, so you want the most mobility possible around your shoulders and arms for a free range of motion. 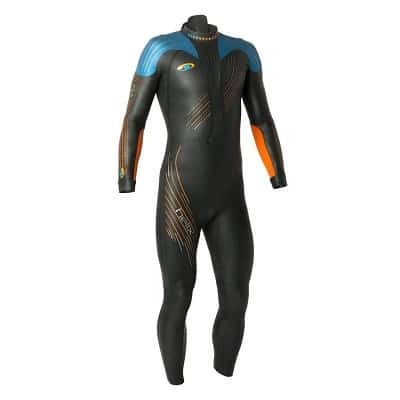 Most tri wet-suits design specifically for this, with thinner and more flexible material around the shoulder joints. Easy to get in and out of. 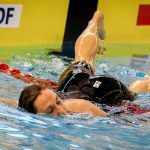 When you complete the swim leg of your race, there is the very important consideration of being able to slide out of your wet-suit with relative ease. Wrestling your way out of a wet-suit is a bummer of a way to drop time in the transition area. Most tri wet-suits have quick zip “transition panels” on the back and ankles to assist with this. I know, the appearance of the wetsuit is of secondary importance to how well it functions, but it’s difficult to ignore the role this plays. If you look good, you feel good, so…you race good? Sure! What kind of neoprene is it made of? With wet-suits you will notice that there is a lot of discussion of what kind of neoprene the suit is made of. Neoprene is the same stuff you find in most open water swim gear, whether it’s a cap to keep your head warm, or neoprene swim socks to keep your toes toasty. Yamamoto is the big name in neoprene. You will see them referenced in the specs with each suit. There are two types of neoprene to pay attention to. Neoprene #38 is stiffer, thicker and more commonly seen in diving suits for its high resistance to water pressure. Neoprene #39, a lighter and more flexible neoprene ideal for surface swimming, is the one we want. Other neoprene terms you will hear are 45-cell neoprene, 0.88 Free, and more. Generally speaking, if the wetsuit is made for triathletes, it will be made with the most flexible type of neoprene. What kind of cut are you looking for? 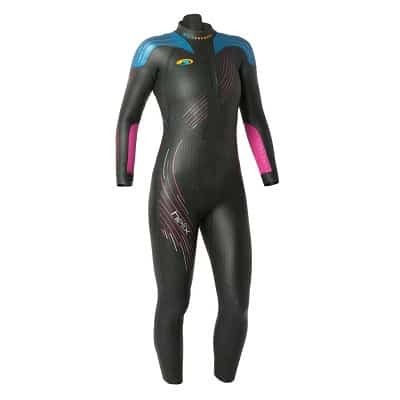 When you think of wet-suits you are probably thinking of the full sleeves on the legs and arms. 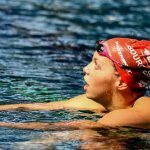 However, training in a pool in a full-body wet-suit is hilariously not ideal–the warmer pool temperatures will leave you scorching. If you want to get the wet-suit experience without the whole cooking inside the suit thing, there are neoprene swim shorts that mimic the buoyancy of a full-body wet-suit. 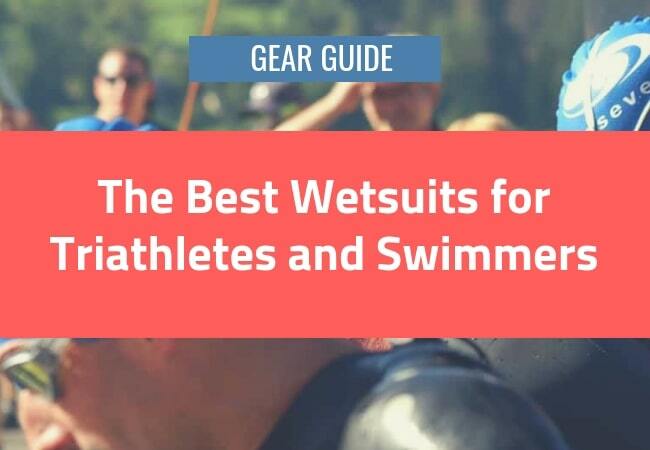 Okay, with most of the basics behind us, let’s dive into our favorite tri wet-suits, including our top pick for entry-level triathlon and open water wetsuit. The Phantom—besides being named in a very cool manner—has 2mm panels around the arms and at the lower back that help give you the range of motion to swim efficiently. The suit is thickest around the mid-section (5mm) to help prop your body up, and the chest, shoulders and legs are thermally insulated to help keep you warm as you get into the swing of things. 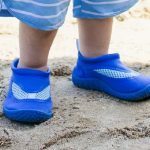 For the transition, it’s important to note the quick-release ankle panels that are cut in a way to help keep your transition time swift and painless. 2XU crushes it when it comes to compression gear. They also make a bag for triathletes that I am quite fond of. The 2XU Propel suit is their high-performance triathlon wetsuit, and as such, comes with a laundry list of features. The thickness of the suit varies from 1-3mm, with the thickest panels being located lower leg (3mm), and the thinnest being the panels around the shoulders and chest for maximum flexibility and freedom of movement. Comfortable, fast, and designed for elite triathletes, the Propel Pro comes in a large swath of sizes, from small, small medium, small tall, to large, large tall, and for us big fellas, XL and XXL. lives up the hype. 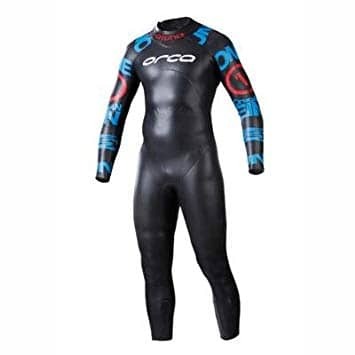 Orca is one of the low-key players in the triathlon and open water swimming gear game, but they make outstanding kit. The Alpha wetsuit takes advantage of a custom neoprene (called 0.88 Free) developed exclusively with Yamamoto for this particular wet-suit. The result is just 0.5mm of thickness, giving maximum mobility. The exterior of the suit is coated with SCS to give you that friction-less glide through the water, and the HydroLite panels make for a breezy transition. We are no stranger to blueseventy. From tech suits for competitive swimmers to swim training gloves, blueseventy makes a wide range of gear for the aquatic athlete. Their premium wetsuit for triathletes, the Helix, is their flagship suit. 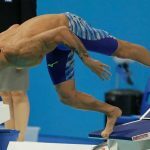 In 2018 they made some serious upgrades, including a more comfortable inner lining, added buoyancy on the back of the legs, and updated paneling that improves flexibility of the suit. 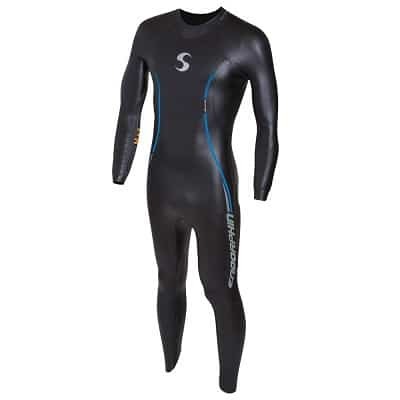 In terms of thickness, the suit will keep you nice and toasty with 5mm neoprene panels along the chest, torso and upper legs. As is common with most of the suits on this list, the Helix is wrapped with SCS to keep your suit and stroke slicing through the water. 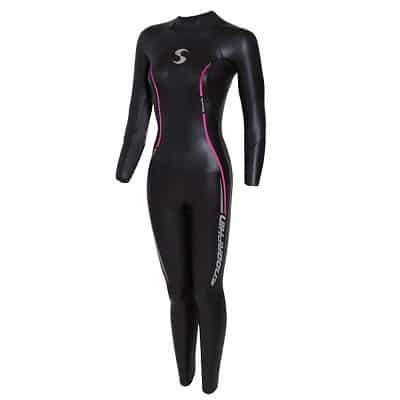 Lastly, we have the Synergy Triathlon Wetsuit, a full featured suit that is priced for entry-level triathletes and open water swimmers at around $200-250, making it by far the cheapest wetsuit on our list. The Synergy wetsuit is a Triathlete Magazine editor’s choice award winner and took home Lava Magazine’s title for best entry-level wetsuit. The features you get with this suit are legit: SCS coating on Yamamoto #39 and #40 neoprene, with thinner panels around the shoulders and upper back. Putting on the wetsuit is a little tricky the first time around, particularly if you’ve never tried to squeeze in to a wetsuit before. Consult the Synergy sizing chart before buying and hit up the instructions the suit comes with before getting frustrated. 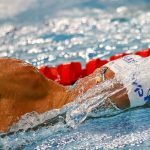 Olivier Poirier-Leroy is a former national level swimmer and the author of the books YourSwimBook and Conquer the Pool. 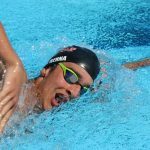 He writes all things high-performance swimming, and his articles were read over 3 million times last year. 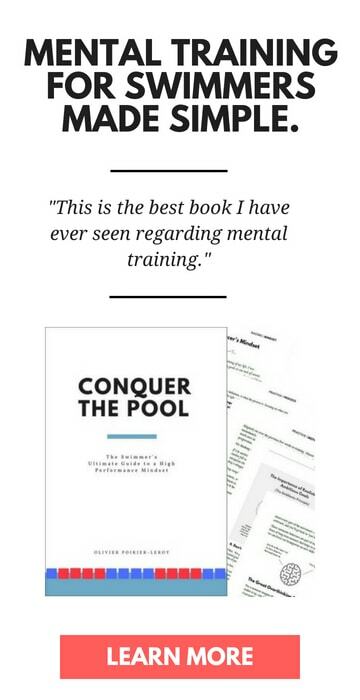 His work has appeared on USA Swimming, SwimSwam, STACK, NBC Universal, and more. He's also kinda tall and can be found on Twitter.